Corporate events can be stuffy affairs, so it makes sense to book some entertainment – you need event entertainers who will lighten the corporate mood and get people talking. 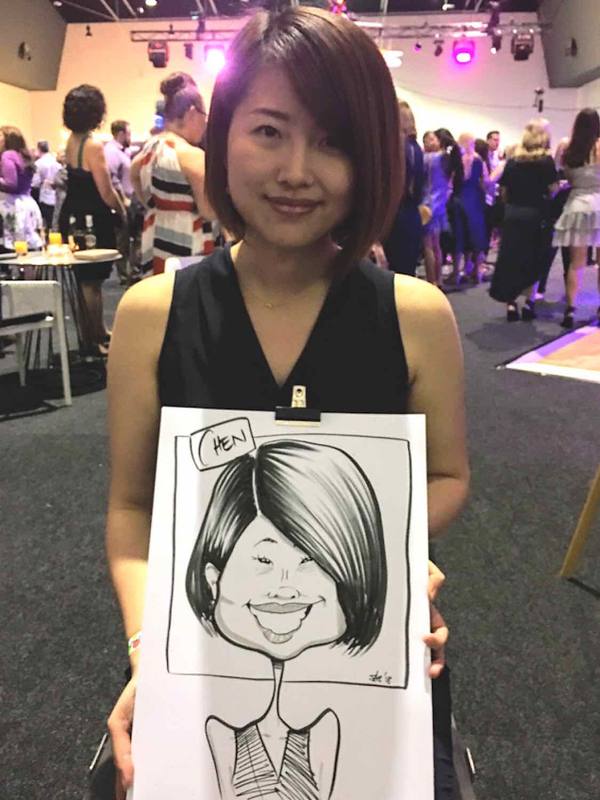 And live caricature entertainment is an ideal (and memorable) choice. 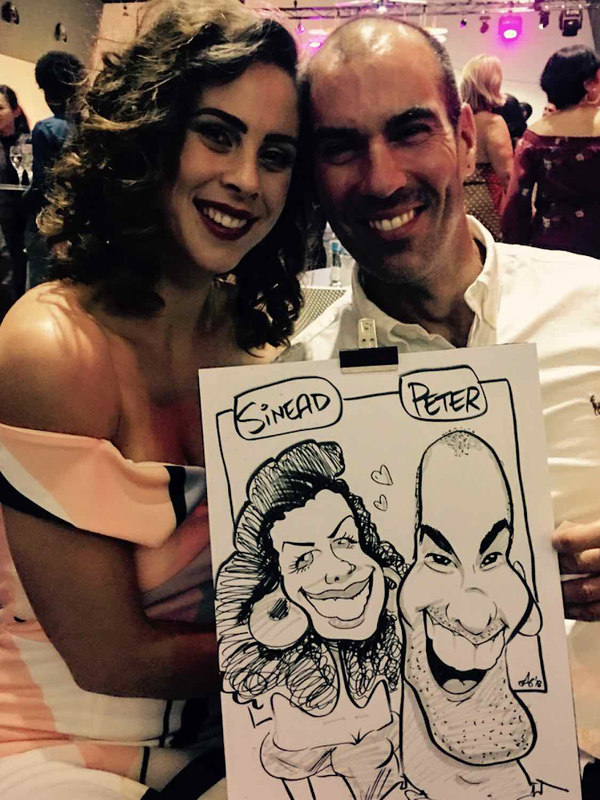 The great thing about booking a caricature session as corporate event entertainment is that it involves everyone on different levels. Compared to other event entertainers, it’s flexible and fun, but not overbearing. 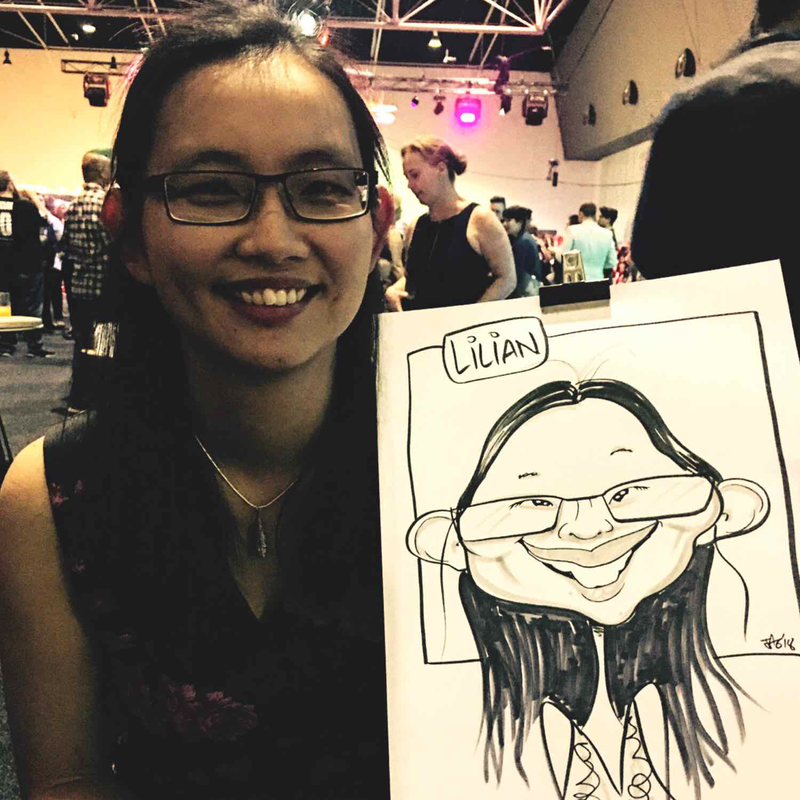 Caricature gigs entertain crowds – I can set up a camcorder to project my working drawings onto a screen for everyone to see. 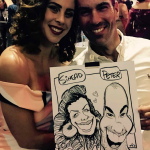 And they engage individuals, one-on-one, providing a unique caricature memento that guests or delegates can take away with them, all branded with your company’s logo. 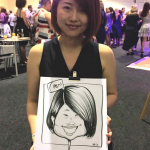 Take a look at my testimonials to see what my corporate clients in Perth and across Australia think of me as a corporate event entertainer. 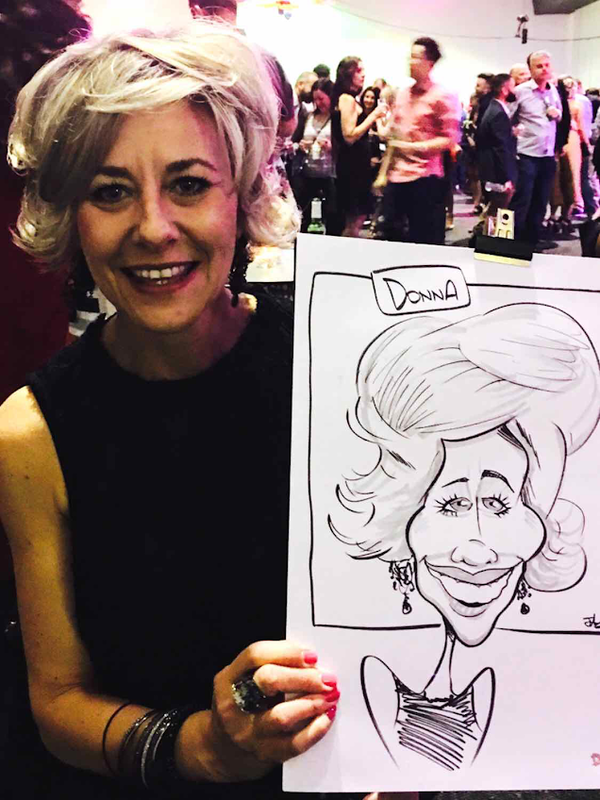 Who are my corporate event clients? 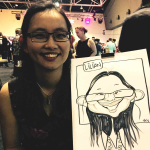 While most of my corporate clients are based in Perth, I can travel practically anywhere for any event. 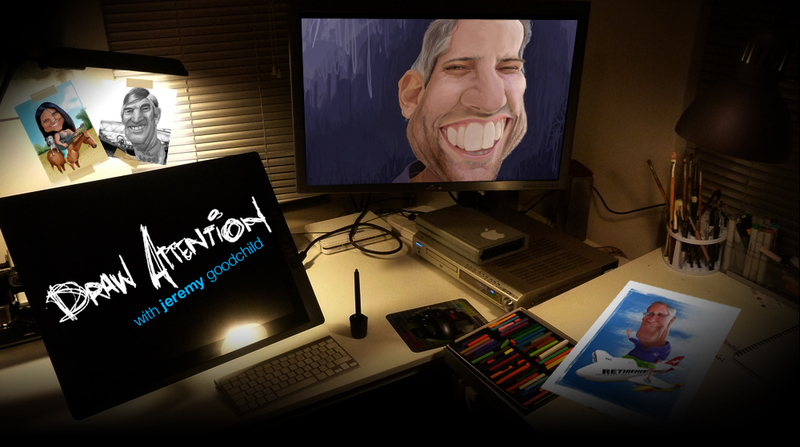 All I need are my drawing materials and a drawing pad (and an airline ticket, obviously). Find out more about my live entertainment gigs. 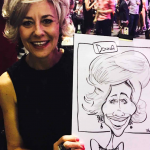 Read about my wedding entertainment packages and booking me as a birthday party entertainer (or for any party, in fact). Or contact me at my Perth studio for a quote, or to discuss your specific corporate entertainment requirements.